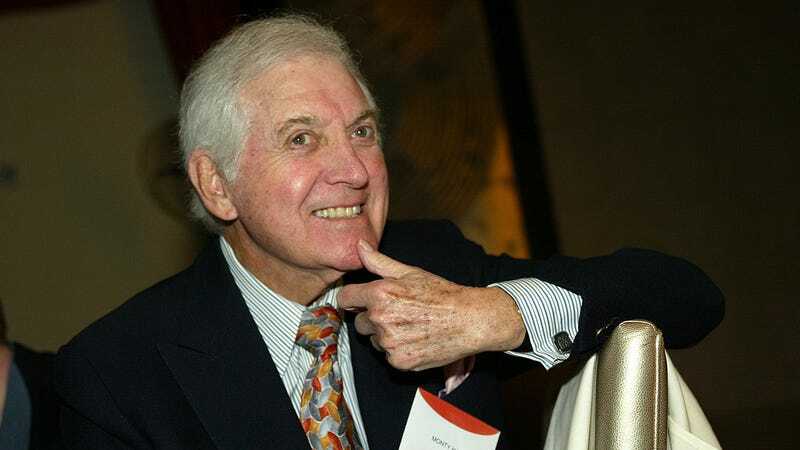 Monty Hall, the game show host who bedeviled and delighted contestants with a variety of doors, boxes, and dreaded “Zonks” on the long-running Let’s Make A Deal, has died. Hall was 96. Originally hailing from Canada, Hall (whose birth name was Monte Halparin) got his start in Winnipeg-area radio before eventually making his way to the States. There, he quickly drifted into the life of the journeyman TV presenter, hosting a variety of kids’ shows and game shows, and even spending a season as a radio analyst for the New York Rangers hockey team. Outside of Deal—which ran, with him as host, for more than 20 years—Hall also hosted a number of other shows, although only one of his other co-creations, Split Second, garnered much success. Outside his work on TV, he was also notable for his charitable giving, which earned him both the Order Of Canada and the Order Of Manitoba in his native land. Hall died earlier today in his California home. According to Variety, his death was a result of heart failure.